Income taxes, not payroll taxes, affect your annual tax obligation. If you work for a paycheck, you know that your gross pay is not the same as the amount you take home on payday. This is because your employer is required by the federal government to withhold part of your pay to cover payroll and income taxes and to submit it to the government on your behalf. The main difference between payroll tax and income tax is that payroll tax supports Medicare and Social Security costs, while income tax is used for national defense, social programs and other federal government expenses. Another difference is that you may be able to get a refund on some of the income tax that’s withheld from your salary when you file your annual tax return, but this is not the case for payroll taxes. You may wonder which taxes are examples of payroll taxes. The Social Security tax, also called FICA for the Federal Insurance Contributions Act, covers the cost of benefits for retirees, disabled people and their dependents. Survivors of people who received benefits may also be eligible for benefits. The Medicare tax covers medical benefits for retired workers and their spouses. These payroll taxes are deducted from the wages of all workers. 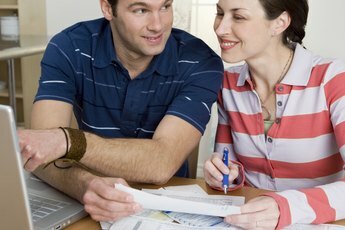 Unlike income taxes, they cannot be decreased by deductions or credits on your tax return. For 2018, the employee tax rate for Social Security (FICA) is 6.2 percent. The wage base limit is $128,400, which is the maximum amount of gross income that can be taxed for FICA. Anything an employee earns above this amount is not subject to FICA withholding. Employers are required to match the employee’s FICA contribution. The Medicare tax rate is 1.45 percent for both employee and employer, with no wage base limit in effect for Medicare taxes. The combined rate for these two taxes is 7.65 percent. 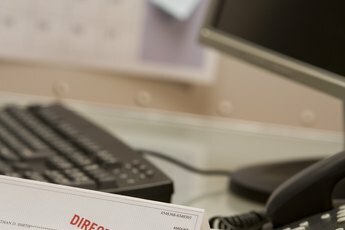 So for a $1,000 paycheck, an employee could expect to see a total of $76.50 withheld for payroll taxes, with $62 going towards FICA and $14.50 for Medicare. The IRS refers to income tax as a “pay as you go” system where workers pay taxes on their wages as soon as they earn them. This is done through employer withholding. 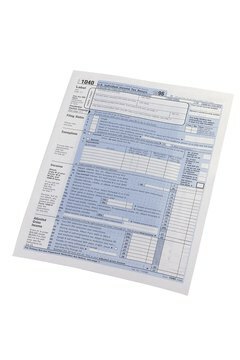 An employee submits Form W-4, Employee’s Withholding Allowance Certificate, to their employer to indicate how many withholding allowances to claim. The employer uses the number of allowances to determine how much money to withhold and sends that amount to the IRS on behalf of the employee. Since the W-4 is an estimate of taxes owed, it may turn out that too much or too little was withheld from an employee’s wages. When this happens, the employee can file a federal tax return to pay more tax or get a refund. If you live in one of the 43 states that levy an income tax, then you also may have state income tax withheld from your wages. The tax rate is determined by each state, with some states applying the same rate to all taxpayers and others using income level brackets to set the rate. States with an income tax expect taxpayers to file a tax return. 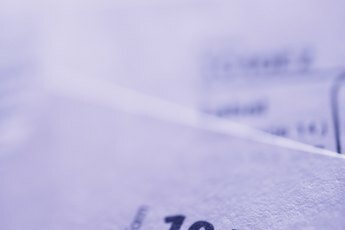 Payroll tax rates did not change between 2017 and 2018. However, tax reforms of 2018 affect the standard deduction for income taxes. Employees are encouraged to submit an updated W-4 form to their employer to ensure that the right amount is being withheld. The IRS provides an online calculator to help employees determine how much to withhold from their paycheck for income taxes. Employees can give their employer a new W-4 anytime throughout the year, not just when first hired. Tax Foundation: What Are Payroll Taxes and Who Pays Them? 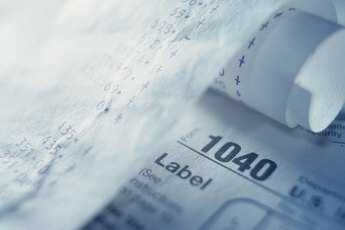 Where Do Tier 1 & Tier 2 Taxes Go on My 1040?